Research by Bitwise Asset Management rocked the crypto industry this week, after it concluded that 95% of reported bitcoin trading volume is fake. However, that might not be such a bad thing as it may encourage the industry to clean up its act and traders to shun dishonest exchanges. which tracks large cap crypto, is widely followed. just shared with it its findings on the true state of crypto trading markets. was in fact real – $273 million. not to have such troughs (and peaks). a human behind the execution, tends to be lacking too. Coinbase, the popular US exchange. CoinBene has not responded. reporting – what about manipulation? surveillance of exchanges means that they are wide open to manipulation. are banned in other asset classes. for listings. Some exchanges also accept a fee for listing coins. welcome development that brings transparency to the marketplace. validity of this approach to the regulator. take traders (and listees) for a ride. which are clearly inaccurate if not downright fraudulent? the daily trading volume for BTC – it is $1.17 billion at the time of writing. On coinmarketcap it is supposedly $8 billion. problem faced by regulators, and those seeking approval for crypto ETFs. Here’s a solution – only take data from regulated exchanges. helped them to see a clearer way forward to approving an ETF. base prices only on those that prevail on regulated exchanges. effect of making trading fairer and safer while speeding the pproval of crypto ETFs. patterns picked up by Bitwise’s software? high. Each CME contract represents 5 BTC while the CBOE contract is 1 BTC. volume estimated by Bitwise, averaged over four days in March. Index take their data from four exchanges: Bitstamp, Coinbase, itBit and Kraken. selection, which is still available here. of exchanges for price data while CBOE’s has divulged no published research. perhaps have put a bit more work into their offering. in fact impact the price of bitcoin because the contract is not delivered with bitcoin. 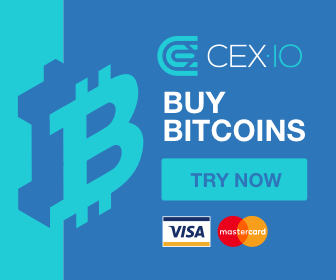 CoinFLEX and will trade in the Asian market. The post Bitcoin (BTC) trading volume clarity actually brings ETFs nearer appeared first on Ethereum World News.